May 2012 -- ISO Group attended the Special Operations Forces Industry Conference (SOFIC) held at the Tampa Convention Center in Florida. This 3 day defense event is focused on advancing defense technology solutions and building global SOF partnerships. ISO Group representatives attended the event to collaborate and network with government and industry attendees and exhibitors to discuss supply chain issues and military technology developments. 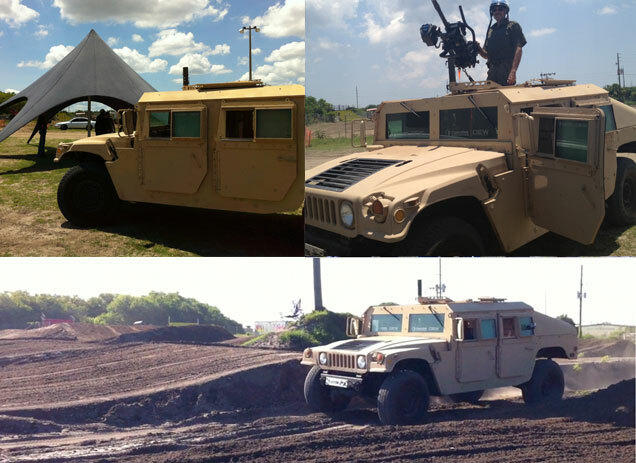 And at a nearby privately owned mud track, ISO Group held an event for national and international VIPs to demonstrate the now available... new HMMWV modernization EMV upgrade package that easily outperforms any version of the HMMWV on the market today. Performance advantages include greatly improved... horsepower, torque, suspension, transmission shifting, cooling system and lighter armor. View EMV Transformer video. This EMV HMMWV Performance Kit is exclusively sold and provided by ISO Group. We look forward to speaking with you at our next defense and aerospace event.